Finally a decent photo app for the DSi! 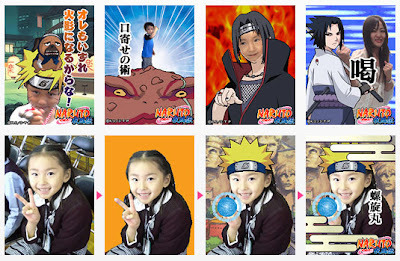 Takara Tomy released a Naruto app for the DSi that will let you replace your favorite characters' face with yours. Want to strike a pose with Sasuke? Of course you do! Want a sharingan? You can have two! The app costs 500 DSi points and you need a Japan region Nintendo DSi to get it.